So do you suppose I will see a lion. Well, the truth is I did see one. 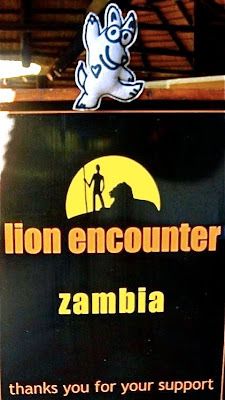 My friend, Randy Rarick, and his wife, Jacque, took me with them on their adventure to South Africa and Zambia. Well, Randy was just trying to get a good shot of me and set me in front of a lion, but the handler freaked out and I was whisked away from the lion's face. Fact is, the only thing ever set in front of that lion was food! Yikes----I wasn't ready to be his dinner!